Just Landed: Fresh out of the box, 3T Illumina glow-in-the-dark finishing kit will certainly give your bike a unique look. We’ve seen it all now. Hi-vis clothing may have taken the cycling market by storm in the past few years, but the new 3T Illumina range takes things a step further, with a trio of glow-in-the dark components (although, unfortunately, they don’t glow in the dark when photographed, so you’ll have to take our word for it). The Illumina finish is available on three of 3T’s existing components: the Ergonova LTD handlebars, Arx LTD stem, and Ionic 25 LTD seatpost. In terms of performance there should be no change over the standard kit, as beneath the paint scheme there is no difference in terms of design. 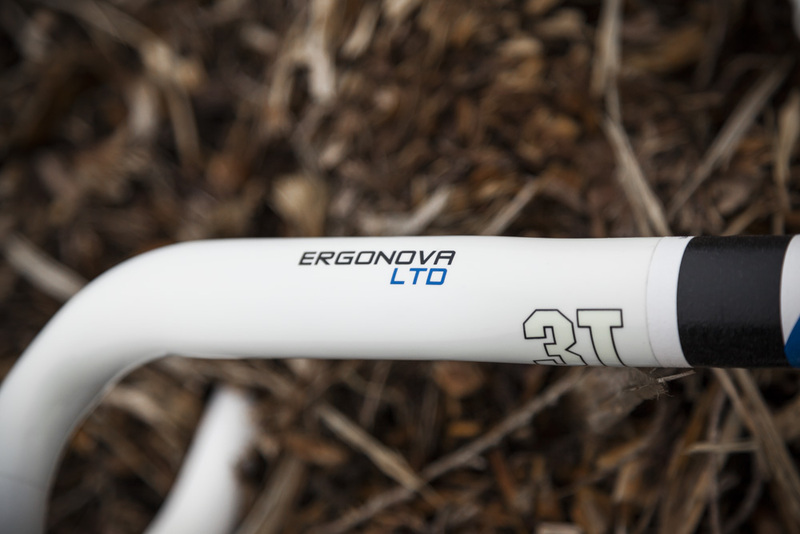 The Ergonova bars are the most expensive of the three new items, priced at €345, or roughly £250, a price increase of €20/£14.50 over the standard bars. The carbon fibre bars are available I three widths, 40cm, 42cm, and 44cm, with the 42cm pair we’ve got in for test hitting the scales at 189g. The top of the bars are slightly elongated, giving an ovalised tube shape, with the wider surface apparently providing a more comfortable hand position. 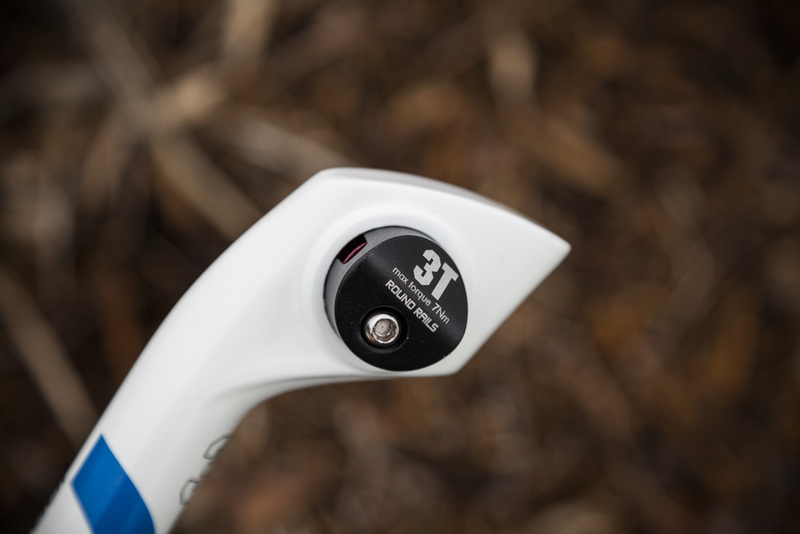 3T have also flared the drops, meaning that bars are 16mm narrower at the brake hoods than at the end of the drops, which 3T claims improves all-day comfort. In contrast to the slim-looking bars, the Arx LTD stem has a more bulky appearance, certainly raising our expectations when it comes to stiffness. As with the other products in the range, the stem is fully carbon-fibre (with the exception of the titanium bolts). Our 120mm stem hit the Cycling Weekly scales at 129g, and a range of sizes are available from 80mm to 130mm, all priced at €270/£195. Finally the Ionic 25 LTD seatpost completes the range. This monocoque post features 3T’s Diff-Lock saddle clamp which allows precise adjustment of saddle setback and angle using easy-to-access side-mounted bolts. The seatpost is available in two lengths (270mm and 350mm) and two diameters (27.2mm and 31.6mm) with our 350mm/27.2mm post weighing in at 216g. The price for the post with the 3T Illumina finish is €225/£163. 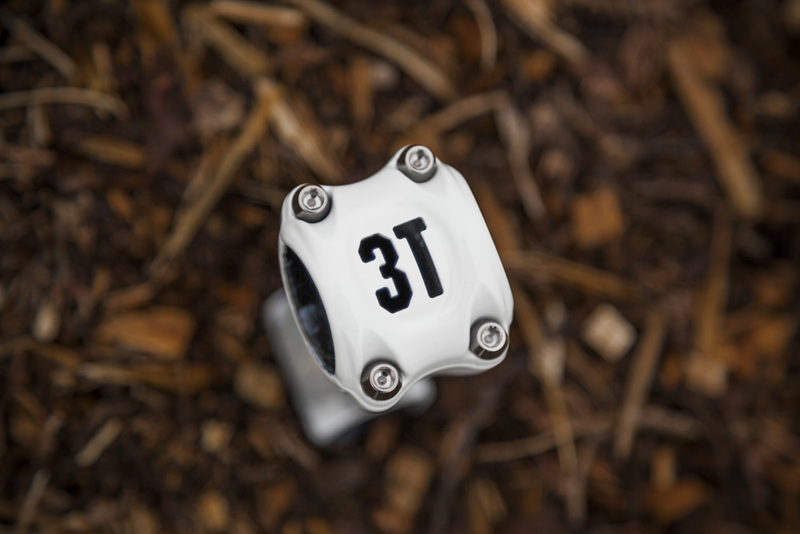 The new components are not being sold through i-Ride, 3T’s UK distributors, so if you want to get your hands one of the new products you’ll have to go direct through the 3T website. Look out for a full review of this new 3T Illumina kit in the next few weeks.